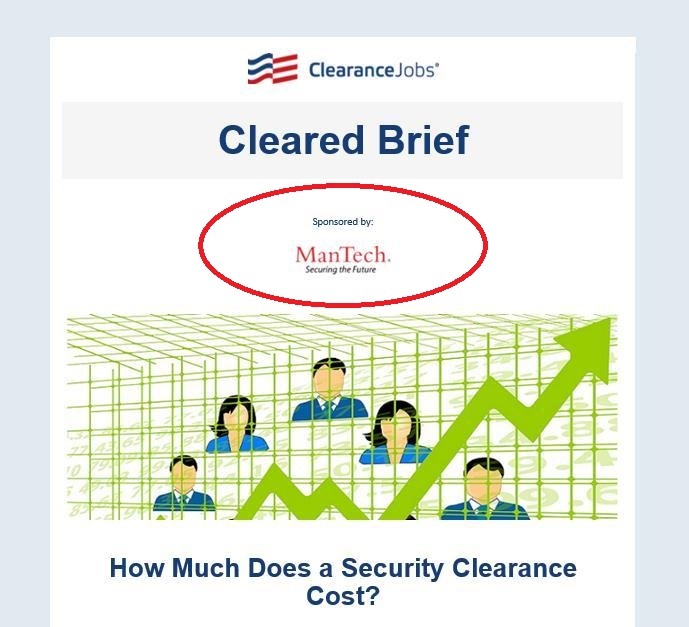 ClearanceJobs offers a number of advertising options beyond job postings, including display banner ads, newsletter sponsorships, and targeted emails to provide greater opportunity to deliver your recruitment message. 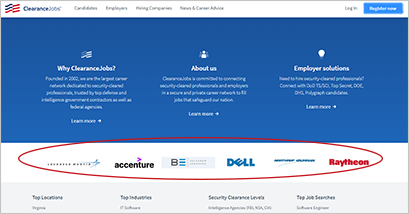 Includes the choice or combination of the following: prominent homepage tile (178x38) and/or leaderboard banner (728x90 and 270x60) located on job search results pages. Target relevant cleared candidates to tell your story. If candidates don't notice your jobs/relevant messaging, targeted emails give you the chance to make sure they will. Focus on your core audience through various demographics. Choose from the following: A leaderboard banner (728x90) or company logo (178x38) located prominently on the top of the Cleared Brief. A text ad in the middle of the newsletter or a dedicated email drop with a creative of your choosing. 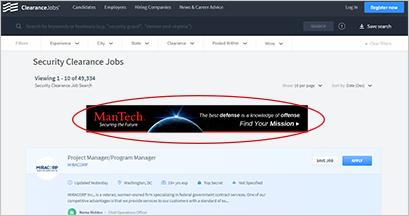 Site advertising is designed to get your messages heard by the defense and intelligence communities. For more information and pricing, simply fill out the form.